It’s been four years since country music star Jason Aldean and wife Brittany tied the knot on a beautiful beach in Mexico on March 21, 2015! “4 years and counting!! Happy Anniversary to the most beautiful person i know. So thankful i get to spend my life with you,” Jason shared via Instagram along with a picture of the two together while Brittany was pregnant with their second child, daughter Navy Rome. “Happy anniversary, my love,” Brittany shared through her Instagram along with a picture from their wedding. As we all know, the couple’s love story started with controversy. Aldean’s first marriage to Jessica Ussery imploded on a grand scale when TMZ released photos of the country singer and former American Idol hopeful getting cozy at a California bar in late 2012. After the subsequent 2013 divorce, Jason and Brittany stepped out publicly as a couple and have never looked back. Brittany has proven to be a very loving stepmother to Jason’s two daughters from his previous marriage, 16-year-old Keeley and 11-year-old Kendyl. 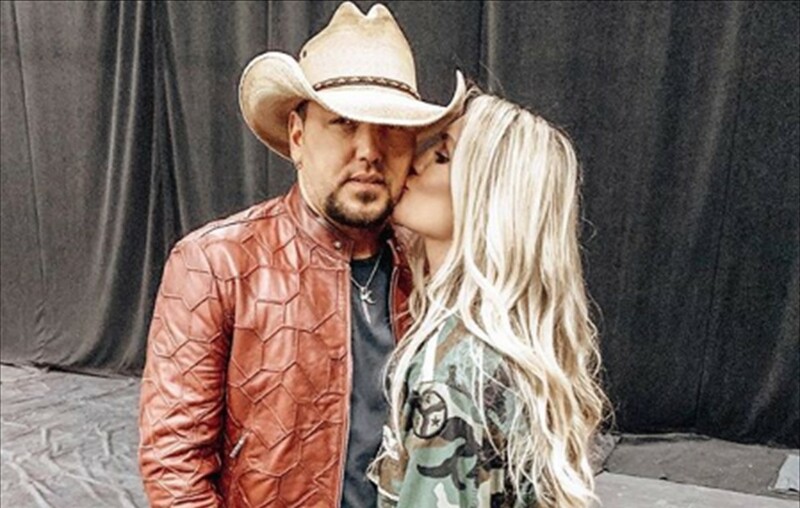 Happy Anniversary to Jason Aldean and wife Brittany! Share this update with other fans of the couple!